Oftentimes, many sellers overlook the importance of pre-call planning and you can’t just wing this part of the process. Today, we’re pulling another snippet from one of our sessions over at the TSE Hustler’s League. Last week, we spoke about issues causing bad close rates. Today, we dig into the fundamental topic of pre-call planning. 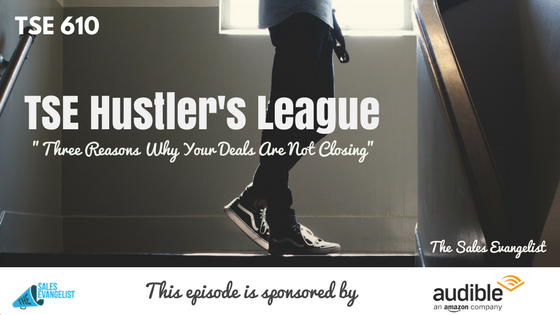 This semester of the TSE Hustler’s League, we’re focusing on how sellers can become more buyer-focused and how they can increase their win rate by guiding the buyer through their journey. What did I notice about their company? Sit down and look at your CRM and look at the information. Don’t go overboard and try to find everything about their kids. Don’t go into their personal life and get all of the details. Utilize Twitter, LinkedIn (especially when you’re selling B2B), and Facebook to find information about the business. Your research should help you figure out how you can connect with the individual. Recognize something they’re doing right now. What can you do to build that rapport with them? Understand the purpose of the call. You need to understand the purpose of the call before you jump on the call. They look to you as a guide so if they don’t have that information, the call is not going to progress well. Find out if it’s a call to clarify, close, or move the deal forward to the next step, or whatever your process is. What are their influence capabilities? Are they the decision-maker? Are they the influencer? Or are they the end-user? There are two reasons people make a buying decision. They’re either trying to fix something or gain something. You need to understand the person’s buying motive. What does he have to gain or what does he have to lose? How is success defined for their role? Know what’s important to them and it becomes the most important thing to you now. Figure out how you can help them to do so. Do all you can to tailor your presentation around them. Later on, find out who else do you need to bring into the team. Figure out how your prospects make money each time. Also, find out how they lose money. If selling to consumers, show them ways they’re losing money and figure out how you can make them understand three simple ways they might lose money. How can your product or service specifically help this client? Recap the appointment and the next step. Talk about setting the next appointment and reconnect from the beginning to the end.